I made these Naan breads out of pure frustration. It was the frustration of not being able to get a decent store bought Naan Bread at my local supermarket. You see I like my Naan breads plain. No seeds, no garlic, no chilli-Nothing. 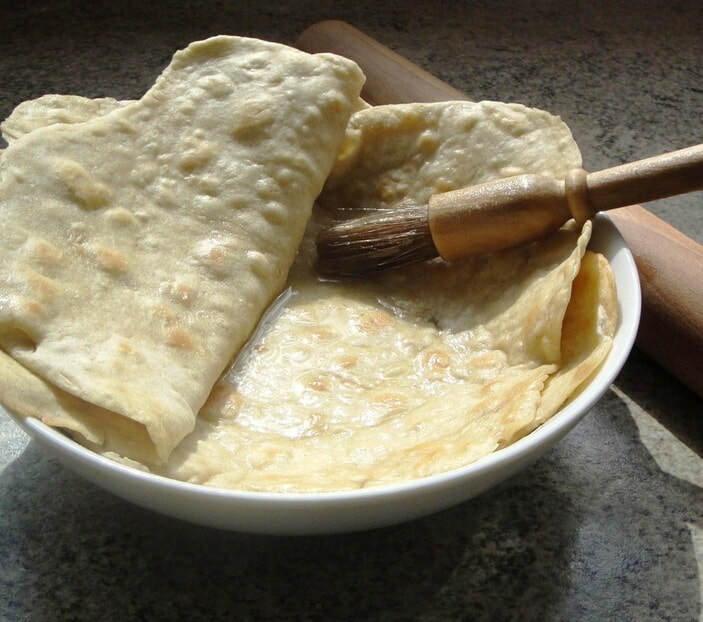 I just like a nice pillowy-soft Naan bread, that can be used to scoop up a delicious curry sauce. Naan breads have become quite popular. My previous post on Caribbean Roti has proved to be one of my most viewed and pinned recipes; from various people on Pinterest, through others who have visited my website, and pinned it on their profile boards. 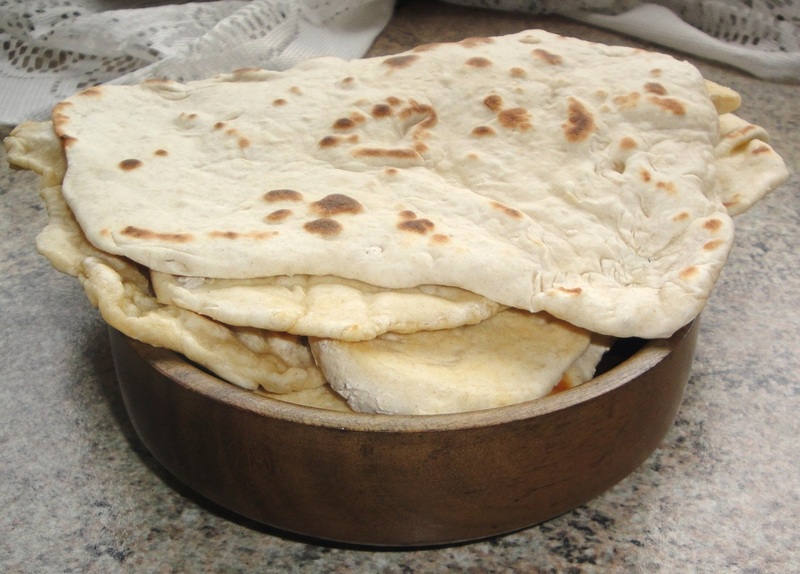 Naan Bread is often thicker than Caribbean Roti. It's traditionally made in a Tandoor oven. 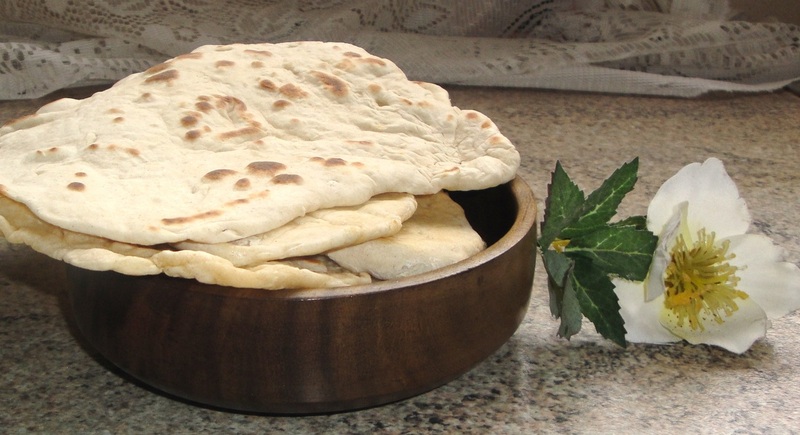 Wheras Caribbean Roti is traditionally made on a tawa. If you don't have a tandoor oven, then the other options are stove top, or in a traditional oven.I highly recommend using the stove top, if you're going to use this recipe. Actually, I insist. When I started this recipe I decided I was going to use the oven. 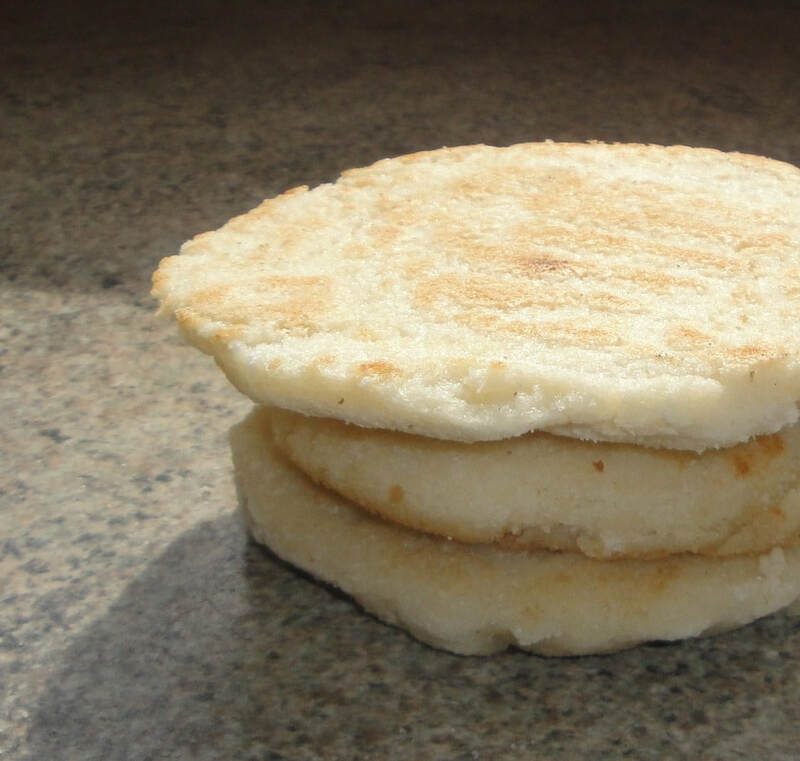 But the first one I did came out more the texture of Pita bread, than Naan bread. And though it tasted good, it wasn't what I had in mind. I immediately changed to stove top, and the texture was much improved, the result was the type of Naan bread I have longed for. Naan bread should be soft, pillowy, and slightly thicker than the average flat bread, though the thickness can be to your preference. My naan bread is an adapted version of Vah Chef's recipe. If you like Indian food then I highly recommend that you visit Vah Chef's website. He has a plethora of popular Indian recipes, with easy to follow recipes, and great video demonstrations. I just think his food looks fantastic. 1. Place the flour into a plastic mixing bowl and add the salt, and baking powder. Stir with your hands so the ingredients are well distributed. In a measuring jug add warm water, then milk, then yeast, sugar and stir vigorously. Cover and leave in a warm place for about 15 minutes. Once the 15 minutes is up, there should be froth on the surface. If not, leave it for another five or ten minutes. 2. Then whisk, the milk and water mixture vigorously, and slowly pour it into the flour and make a soft round dough. Leave to rest for twenty minutes. Then take even sections of the dough and form them into a ball. This dough should make about five Naan Breads. Let that rest for another twenty minutes. Then heat up a frying pan. 3. Then with your hands and a rolling pin, form the dough into the shape that you want. Add oil if you wish, or more flour to the dough and surface if it sticks. Roll the dough out to your desired size and shape and heat on each side for about 2 minutes each. Serve with a delicious Curry.